This is actually a super late post of my 1st attempt in what I'd like to call mini kawaii photo shoot! This was taken last August of 2014 (yeah, see super late post about it) I just recently found out about Kawaii in Manila 2 that time and that they were looking for a Kawaii PH Ambassadress througha photo submission! I had this weird thought of joining (even though I'm not as kawaii as other people) because I was beginning to become more open and confident with the Kawaii lifestyle, so I asked my good friend Venisse to help me take pictures since she's very used to taking photos plus she's also into Kawaii and Anime! So I went to her place and she did my make up and styled my clothes, I brought a bunch of clothes she could choose from to help me with the shoot and she chose this coordinate, which I absolutely adore! As you can see in the first photo, I'm a really awkward person when other people take photos of me, I don't even know how to smile/pose in a kawaii way, and I was super nervous because this was in public, and there were only two of us, plus! it's my first time! This second photo is even more embarrassing, ven coached me in posing and everything but I seem to "not" deliver on it lol! but I do like how this photo came out, even with the awkwardness. Plus the flowers added a soothing ambiance in the photo! I'm emphasizing the dolly wink eye lash falsies (which was part of the freebies I won/got from the Doll Glam event, which I haven't blogged about as well) and I look mature in this photo!! 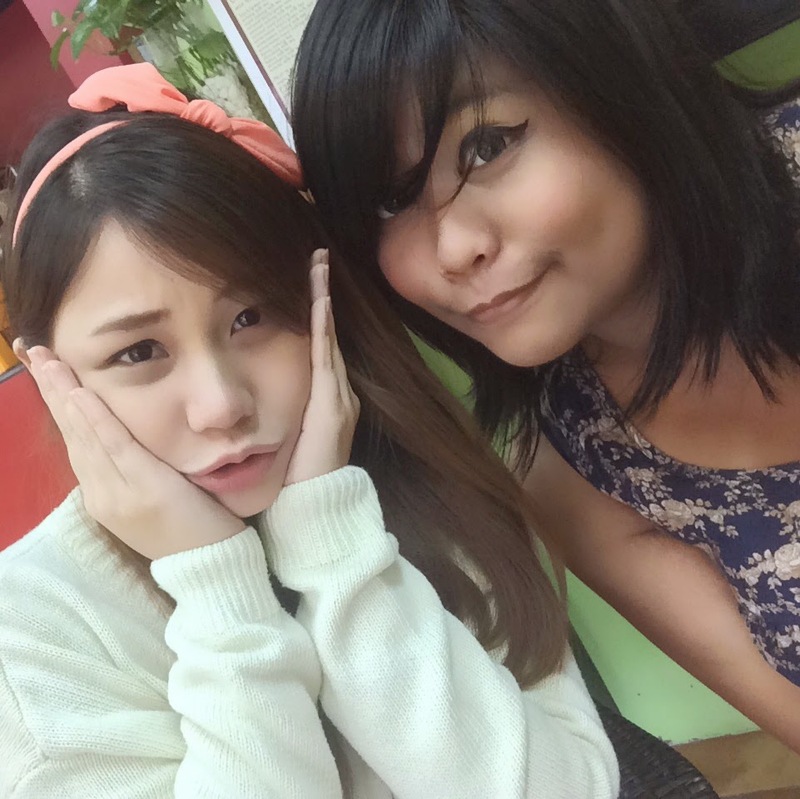 so this was while we were waiting for our orders to arrive, then of course we ate and drank oishii milk tea then after a couple more selfies... bam! I suddenly became a little young girl who desperately wanted to put make up on and take pictures! 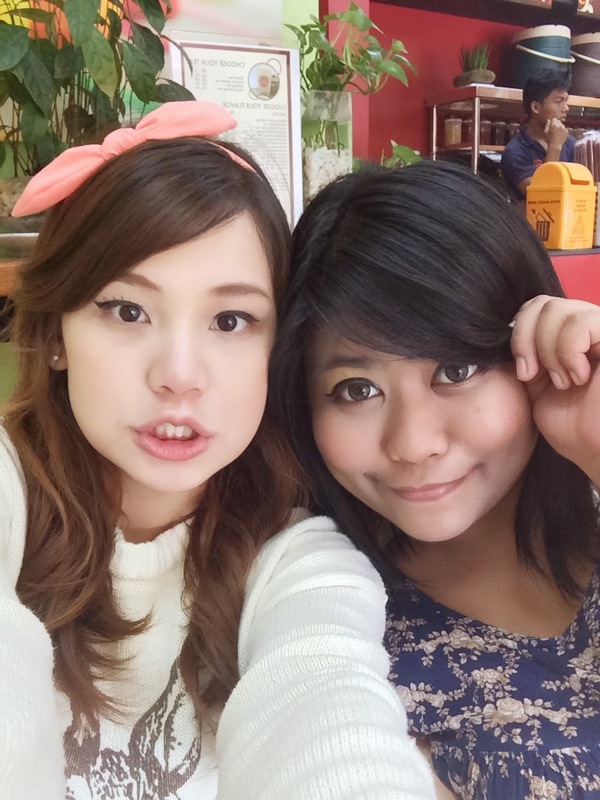 but I actually find this pic a little kawaii, even though I really give out the awkward vibe.. 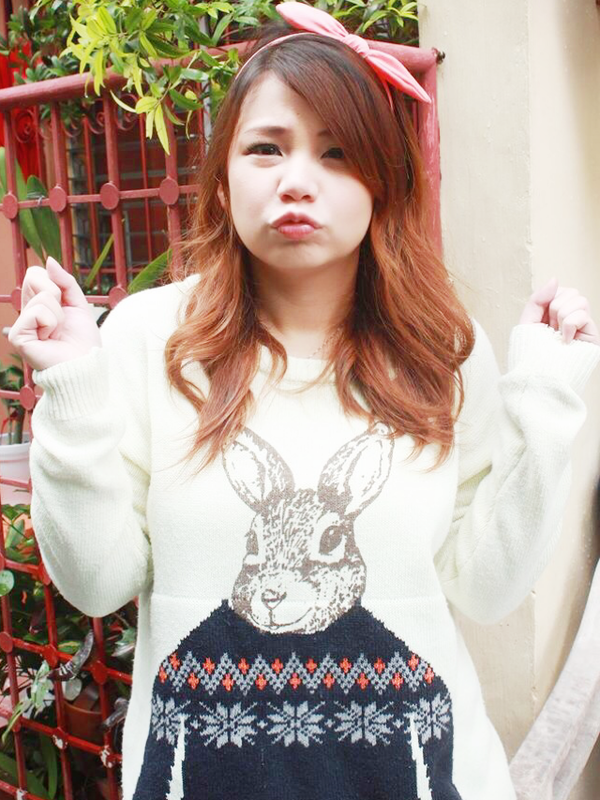 I'll soon be blogging about how I entered the Kawaii PH world hopefully to inspire people with the Kawaii lifestyle! Rainbowholic Lucky box Kawaii review! December Kawaii Box Review + Giveaway!